It has almost been exactly a year since we reviewed the original hybrid Primacy from Chinese manufacturers, Oriveti and since then it’s largely been a critical success with its musical but relaxed tuning, slick packaging, and aesthetically pleasing build. Since then Oriveti has gone on to add the BASIC dynamic IEM to their collection which we also reviewed earlier this year and much of the design inspiration in their budget offering has been drawn from the original Primacy. Feedback being what it is though Oriveti has decided that the original Primacy needed a few tweaks and so we now have the New Primacy which replaces the older version and still for the same competitive $299 price. There are three key pitches for the New Primacy or 3 potential reasons why you might want to consider upgrading from the old Primacy. The first pitch is the build itself and more specifically the nozzle and MMCX connectors to produce a more robust and durable product. Feedback from users of the old Primacy started reporting that the mesh of the older nozzle was not as durable and tended to detach so Oriveti has redesigned the shell to integrate the nozzle to produce a more robust driver housing than before and prevent detaching. They also took the opportunity to change the curvatures of the shell form factor to increase comfort as well as strengthen the MMCX connectors to prevent detachment there also after prolonged use. The second key pitch is the upgrading of the cable included with the New Primacy. Previous it was a 4 core SPC braided cable that I thought was ok actually but now relegated in favor of an enhanced 8 core SPC cable which is a bit more premium in terms of materials and a purported upgrade in audible sound quality. The older cable sold for $30 and is now part of the BASIC package, whereas the 8 core sells for almost $90 yet the overall package price remains at $299. The final pitch is a tweak in the tonality and presentation of the new Primacy which Oriveti now feel to be a bit more balanced, with more top end energy and a more linear low-end to mid-range performance and better vocal presence. Slight less consumer, slightly more audiophile in intent. From a distance, though it still looks all Primacy with that smooth almost tear drop shaped kind of aluminum build. 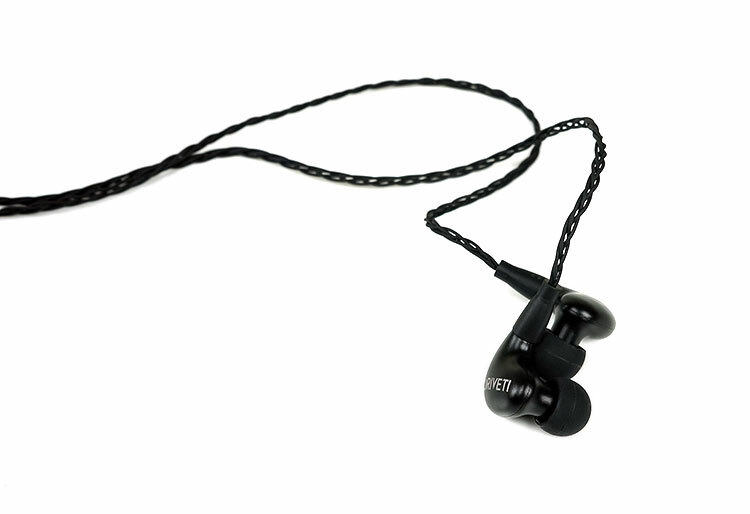 It is similar in appearance to Westone and RHA designs though decidedly lighter than the RHA T series and more in keeping with the Westone W and Shure S weight and feel. I still have to pinch myself that Oriveti has managed to squeeze in a single 8mm DD and dual BA into the New Primacy such is the size. After a year of usage though a few things started popping up on the old Primacy, primarily durability issues with the MMCX connectors and the nozzle which was not an integrated part of the driver shell as well as general thoughts on fitting. If you come in a bit close you can pick out those changes a bit more clearly. The nozzle on the New Primacy is now part of the overall chassis and not an additional part. Previously the old Primacy had reported issues of detaching at the nozzle so Oriveti has created a new shell including the nozzle making it an all in one design. The nozzle is a touch flatter with a wide opening finished with an aluminum gauze compared to the oversize plastic lip on the older Primacy. The larger lip on the older version though has superior grip for tips. There is a little less grip on the new Primacy though potential tip sliding did not pan out during the course of the review. The various tips tried felt solidly in place and never once slid off. The shell has also been marginally slimmed down though widened and given a new coat of matte paint that differs in feel and looks to the older Primacy. This combined with the squatter nozzle finish on the new Primacy and a slightly better angle on the MMCX connectors than previously the entire design just feels a bit sleeker for fitting and general levels of comfort. For those with an eagle eye, you will notice the new position of the bass port which is now down further into the bass of the shell near the underside of the nozzle and away from the MMCX connection canal. Oriveti have removed the SPC 4 core cable from the Primacy to the BASIC and now included an upgraded 8 core braided SPC cable which is almost double in price and yet at the same time kept the Primacy price fixed at $299 as before. That is good value to me. It also has zero memory retention, zero microphonics and is far more pliant than the previous cable. To be honest its an absolute joy to work with in relation to most stock cable at this price point. This is not your average braided CIEM castaway Plastics One cable for sure. There is no need for memory hooks on this cable, it is so easy to shape over and around your ear. You can argue of course that it will not retain that shape and thus it can be prone to slipping out but it is far more comfortable, particularly for glasses users. The cable length and terminations are the same, 3.5mm on jack side and MMCX on the connection side but unlike the metal straight jack finish of the old Primacy, the new Primacy sports a far more robust and contoured right angle 3.5mm gold plated stereo jack with excellent strain relief. It is now far easier to grip and manipulate than previously and the additional strain relief does add some peace of mind in terms of robustness. I had mentioned in the old Primacy review that this was a change I would have preferred to see so I am delighted Oriveti actioned on that request. My fear that it would no longer fit into recessed sockets such as the Hugo 3.5mm if they went right angle proved unfounded as it connects just fine. The ergonomics and fit on the New Primacy are as good if not better than the old Primacy. It is still lacking in any sharp edges or contours, it still slides very comfortably indeed into both ears with the sweet spot for seal almost immediate. This time, however, the change up in the nozzle length and the slightly slimmer chassis does a better job with the seal than before and possibly an even deeper insertion than before. Side by side the new Primacy feels a bit more flush and there is marginally less background noise. The MMCX connector stems also have a very slightly different design to them making them a little bit more comfortable than the old Primacy against the ear. That combined with the very soft and pliant 8 core SPC cable makes this one of the most comfortable mid-fi fits I have had in a long time. The New Primacy comes with more or less the same range of tips, both silicone and foams. The foams will probably give you the best seal overall at the cost of some attenuation. However, the single bore silicone tips still did an amazing job with the new Primacy and I can’t help but feel that is due to the tweaks Oriveti have done to the form factor. The packaging and accessories are almost the same as the old Primacy which means it is one of the best sub-$300 packaging and accessory kits in the business outside of RHA’s CL750. Not bad right? It is unlikely I would have cause to use the ear hooks but those looking for a good jog in the morning or a workout will benefit more from those. Special mention must be made regarding the aluminum carrying case which is circular in form and has a lid that slides right off. 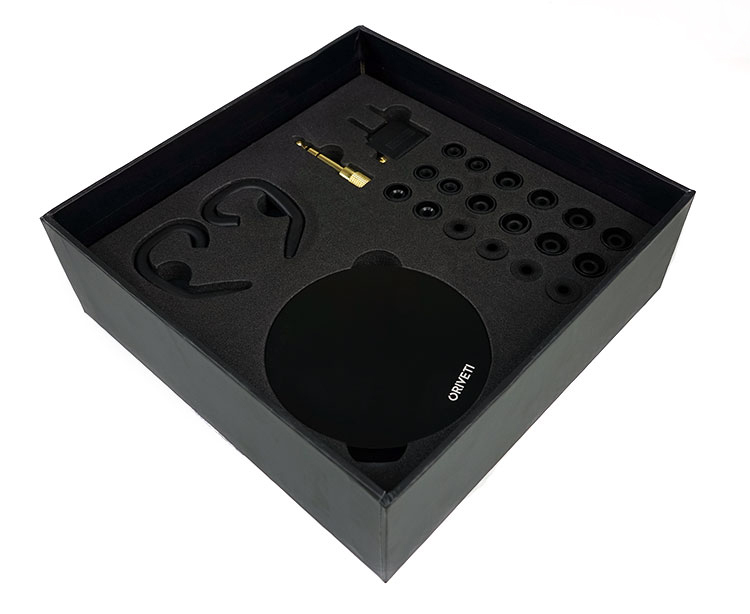 I have started to see these type of cases more and more and they do look very professional, sturdy and more than good enough for storing your IEM’s from dust and moisture. The only drawback is that the hard case is a bit big and might not fit in your pocket or bag easily if space is a premium. Perhaps a soft velvet type pouch as an accessory, (yes one more please), might have provided an option for those with limited space on the go. One minor change to the tips and it is more aesthetic than one of substance and that is the change in color of the silicone tips from white to black. A good move by Oriveti since the black color seems to pair better with the black shells and sits more comfortably beside the black foams and flange tips in the box. The other change is the lack of cleaning brush that was included in the old Primacy accessory kit. I would presume this is related to the new nozzle design with its new wire gauze doing the job of the brush in preventing wax from dropping down the nozzle vent. Hi Marcus, have you tried Westone W30 or W20 by any chance? How is the New Primacy compared with the Westones? Sadly not heard the W30 or W20 but I did have the old UM3X and compared to that the Primacy is punchier sounding. Recently i ordered Sony WM1A, and i’ve been searching for a perfect IEM’S to connect. Oriveti New Primacy Piqued my interest, what do you think of this combination. i only listen to Heavy Metal Genre. Hello, how big is the difference to the B400? Especially in the middle bass and deep bass? 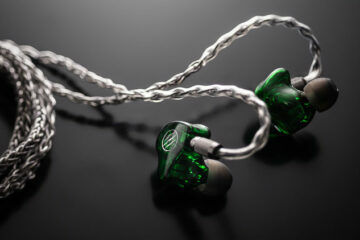 The balancing act between the primacy can be controlled BA Bass and musical dynamic bass without the typical strong bass emphasis on almost all hybrids IEM’s on the market? The Oriveti uses a dynamic driver for the low end whereas the B400 uses a BA config. That’s a big difference right there in terms of natural sounding bass, deep with reasonable decay. The B400 does not go as deep and is slightly faster with shorter decay. how does the primacy compare with the Pinnacle P1, the 1more3 and the se215? I have not tried any of them and the last I have not heard in ages, to be honest. From aural memory, it should be vastly superior to the SE215. 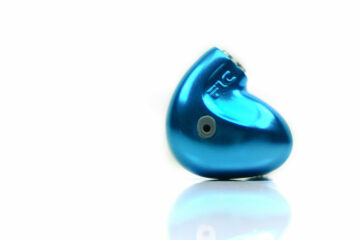 How compared with earsonics es3? And which of both would make a better pair with the cayin n3? 2. I’m primarily going to be using them with my AudioQuest Dragonfly Black DAC, would this be enough? 3. Could an iPhone drive these for when I’m travelling? 1. With difficulty, the contouring is for over the ear but you can change the cable to something lower profile for glasses. 3. Voltage wise or volume yes, output I am not sure how it will sound as I do not use an iPhone but it should be ok. I prefer it with a balanced cable. I think the IT03 treble is peaky and hot and the Primacy treble isnt. Not sure if we will be able to answer that as Mike is reviewing the quad and I did the New Primacy(Marcus). However, I have done other quads such as the Savanna from Noble and found them more neutral sounding. how is the treble extension? Starting around 4k to 5k lower treble gets a nice little lift in energy. It is not hot sounding but that more forward tuning is a welcome contrast to the 5k dip we had on the old Primacy which tended to dull the sound a little too much. The New Primacy sustained lower treble energy makes everything sound a bit more exciting and articulate though the level of detail remains the same between the two versions. The old Primacy had a small peak at 7k but the drop at 5k accentuated it a bit more as well as making the post 7k drop a little bit more noticeable. This has been smoothed out a bit better on the New Primacy. The 7k boost is still there though not as noticeable and the drop is a little more staggered with a more classic 10-11k minor boost in the final octave to give it a bit more headroom and final octave articulation. How it will pair with Fiio X3II? I’m choosing between IT03 and NP. The IT03 is more “exciting” but not as balanced as the NP with a top end that can sound brittle and bright in single ended mode and the X3ii, being fairly neutral to me won’t change that. The Primacy is a better match. And what about low impedance? Will it hiss? Can Fiio properly handle this kind of load? Never really struck me as a hissing DAP but you would need to try before you buy to be sure, its been a long time.